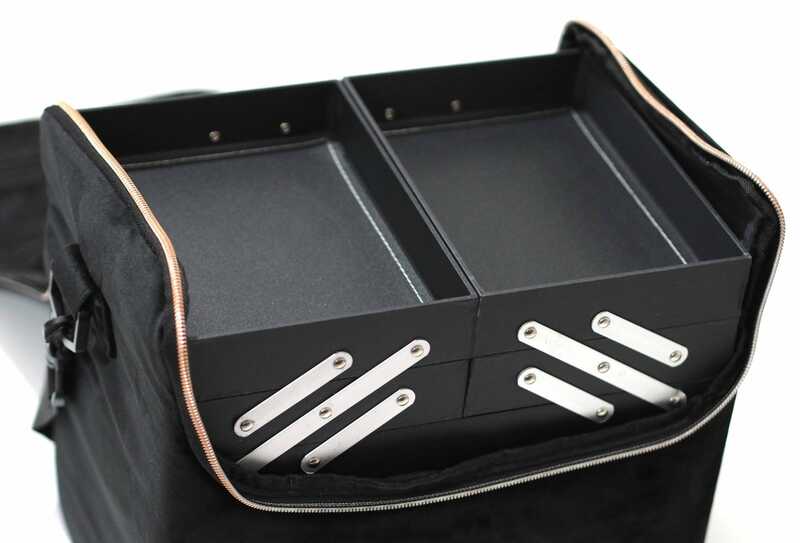 Beautify Black Velvet Makeup Case Review - with rose gold hardware.. Makeup organisation is an obsession of mine which I know sounds really weird, but I just love organising my makeup and beauty collections. I featured one of the Beautify Makeup Cases here on my blog nearly four years ago and I now have one of their new offerings to show you. Beautify have so many amazing storage ideas for the whole house, but their makeup storage selection really wowed me as everything is so affordable. They have some stunning acrylic storage organisers which are so reasonably priced, and acrylic storage can be so expensive. 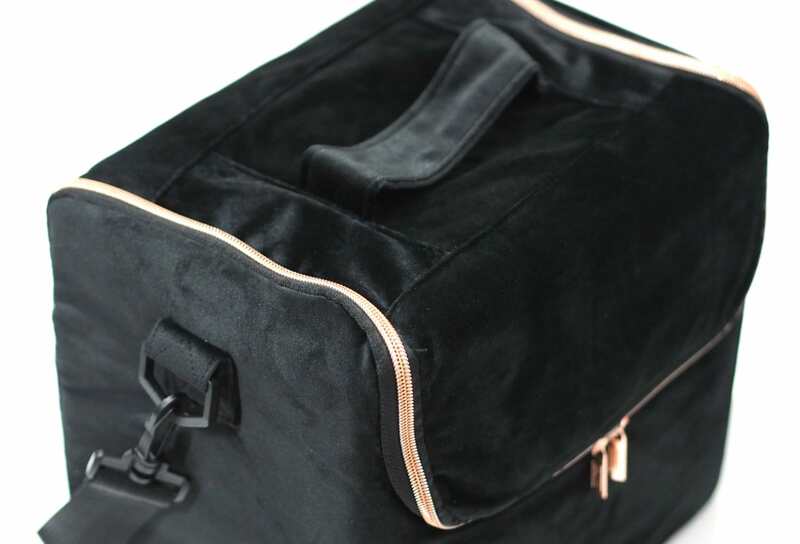 I chose the Beautify Black Velvet Makeup Case which is only £17.99 which is insane to me as it’s such a beautiful case, and it’s so well made too. The Beautify Black Velvet Makeup Case is incredibly soft with a rose gold zip which contrasts nicely against the black velvet. 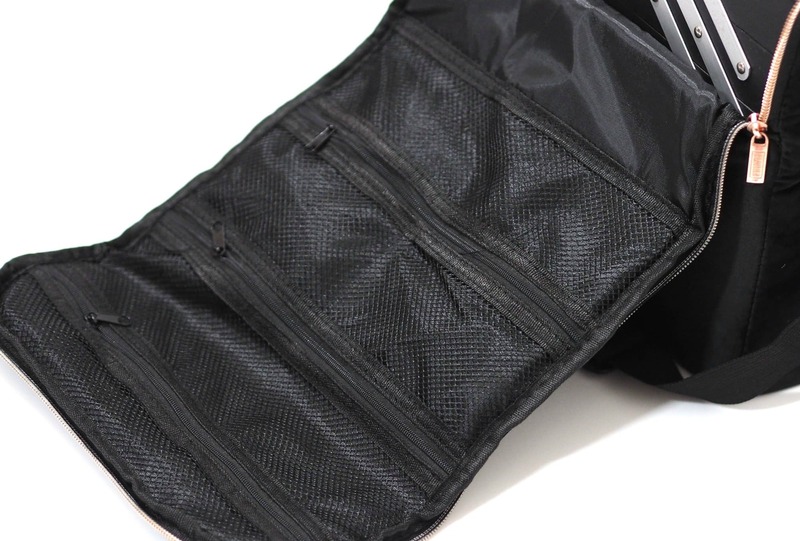 The lid of the case unzips to reveal three zipped netted compartments which would be great for storing makeup brushes to keep the bristles nicely protected. The main storage is like a storage cube, with a large square cube and four trays which slide over the top. It’s amazing that the velvet case can be completely removed from the storage cube essentially giving you two separate makeup storage options. You could keep the cube at home for makeup storage, and use the velvet case for travel or use it combined. The shelves are really good for storing tools like lash curlers, tweezers and other smaller items which might be damaged from larger products in the main storage section. 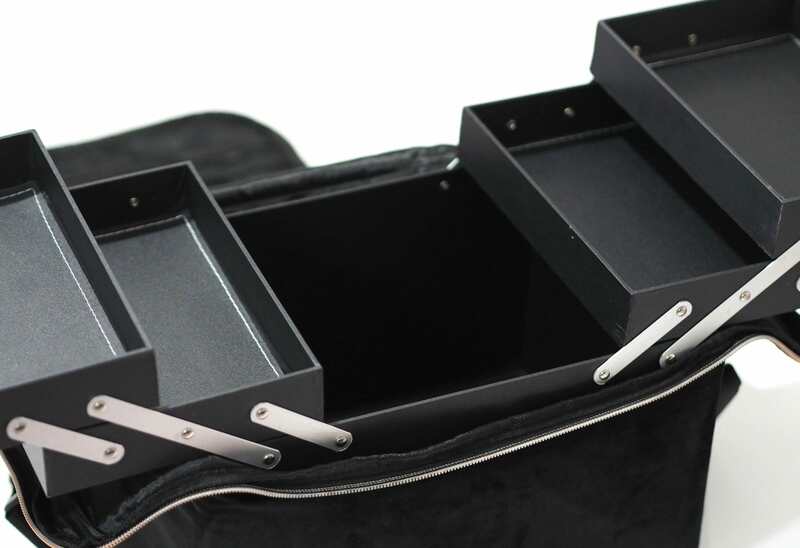 I know I’ve already said it, but I can’t believe this 2 in 1 Beautify Black Velvet Makeup Case is only £17.99. 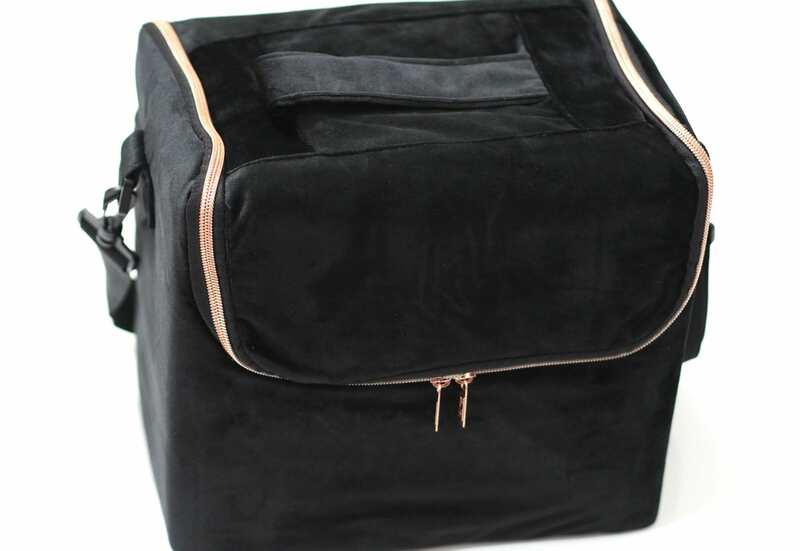 The quality of the velvet bag alone, with the zipped compartments is well worth £17.99 so to have the storage cube as an addition for the price is crazy to me. I’m currently using my case to store my daily skincare products, but you could literally use it for anything. 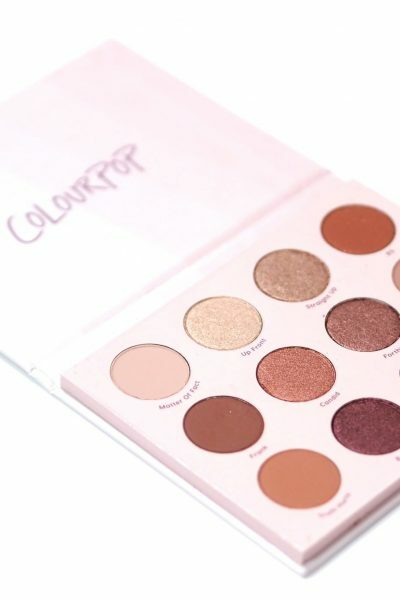 You can check out all of the different makeup storage options Beautify have, over on their website.